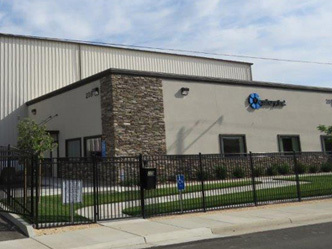 Recognizing the need for increased regional support in the Western United States and Canada, Kingsbury opened a second Repair & Service facility in Yuba City, CA in 2007. Located near Sacramento, this 24,000 sq. ft. facility is state-of-the-art. The Sacramento Service Center provides 24/7 emergency repair and field service support of Kingsbury and all other makes of hydrodynamic babbitted thrust, journal, and combination bearings. Turret Lathe American 21" x 60"
Betts Vertical Turret Lathe, 122"
Lapping Machines, 36" and 72"
Cincinnati Grinder 8" x 24"
Services include diagnostic and repair capabilities, precision machining and the expert upgrades and retrofits that our customers have come to rely on from Kingsbury. In addition, we offer maintenance contracts for all bearing types and makes.